We don’t think we’ve ever had two giant games come out all at the same time. 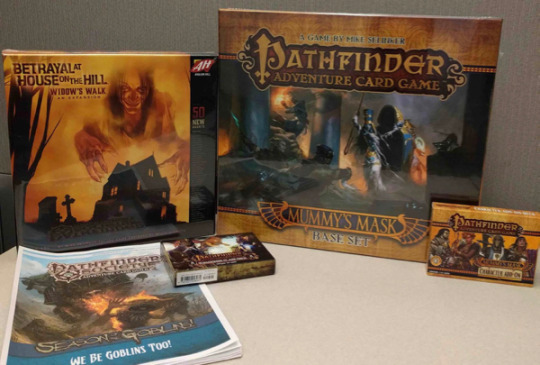 But that’s what went down with the Widow’s Walk expansion for Betrayal at House on the Hill and the Mummy’s Mask set for the Pathfinder Adventure Card Game. This all came out in ONE WEEK. That’s Widow’s Walk, the Mummy’s Mask Base Set, the We Be Goblins Too! adventure for the Pathfinder Society, the Summoner Class Deck, and the Mummy’s Mask Character Add-On Deck, all of which got to stores and websites last week. We think they’re pretty amazing. If you’re going to be at PAX Aus, you’ll get the first look at a new Thornwatch adventure, the first part of our Riddle of Seasons. This is the first peek at the adventures in the expansion Dark of the Wood. The Riddle of Seasons is a multi-part adventure that will span all the four main PAXes from late 2016 to summer 2017. It concerns the fate of a grove lion pup, here sketched by Mike Krahulik. He’s kind of adorable. We hope you will rescue him. If you want to be among the first to play his adventure, sign up for the Thornwatch print and play on our Thornwatch page. The Lone Shark Games Kickstarter Fund is a fund that we established four and a half years ago to back the crowdfunding projects of our many collaborators. We’ve backed more than 230 projects so far with more than $6,000 of pledges. That’s because our clients, contractors, and staff are among the best at producing amazing things. Here are some projects we’re currently backing that you might want to check out. Illimat, a card game by our Widow’s Walk and Apocrypha co-writer Keith Baker and the rock band the Decemberists. Clades, a card game that teaches evolution from Mike’s longtime co-designer Jonathan Tweet. Bears vs Babies, the followup to Exploding Kittens from our collaborator Elan Lee. Logical Leaps and Landings: an Adalogical Enigmas Collection, a puzzle book starring Countess Ada Lovelace by puzzle maker Pavel Curtis. 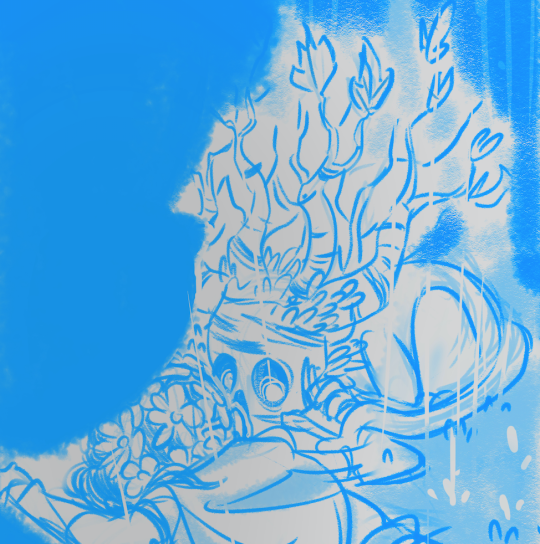 Kickstarted in the—well, we’ll just let you check that NSFW game from our Widow’s Walk co-author Zoë Quinn yourself. No Thank You, Evil! The Adventures Continue, the kids’ RPG from our Ninth World partners Monte Cook Games. The King in Yellow Christmas Cards, Lovecraftian greetings from our artist friend Heather Hudson. Also on Kickstarter’s Election Issues page is a children’s book by Lone Shark’s Mike Selinker and Gaby Weidling commemorating the issues in the United States presidential election. 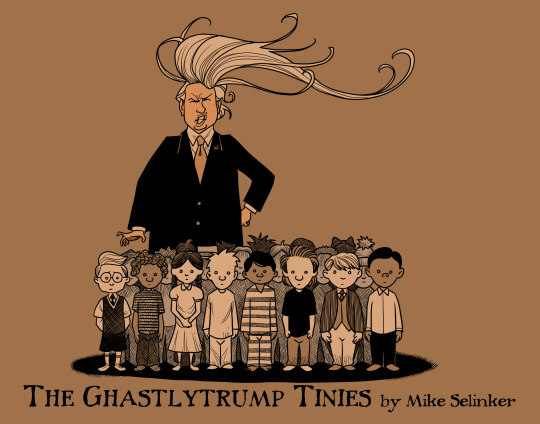 It’s a Gorey parody called The Ghastlytrump Tinies, and you can find out how to order it on ghastlytrump.com. Those are our early November updates. Thanks for listening, and we’ll be back next month with some more awesome news.